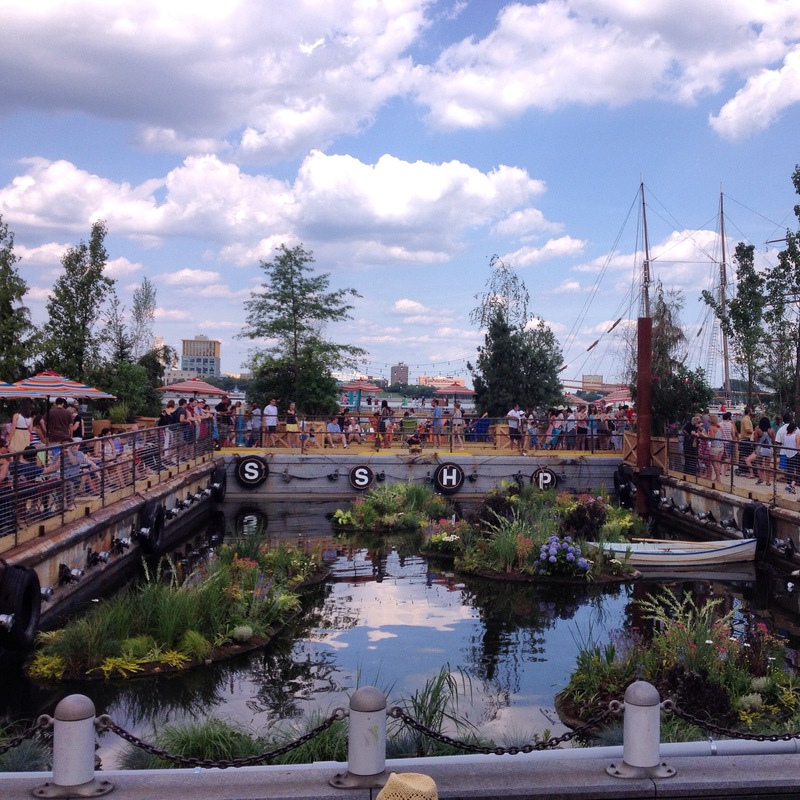 Spruce Street Harbor Park is a must-see! Spruce Street Harbor Park, Philly’s newest pop-up park along the Delaware River Front is the ideal summer oasis. Located at the Penn’s Landing Marina along Columbus Blvd (next to the Hyatt), the park offers a boardwalk, urban beach, floating restaurant/bar, lily pad garden, hammock lounge, games for the kiddos and more. Open daily from 11 am-1 am through August 31, it’s a summer must-see. We checked it out over the weekend, and while the temperatures soared into the high 80’s, I was more than content sipping my Yards Saison lounging in the shade, taking it all in. The Blue Anchor, a floating, pop-up restaurant, managed by the Garces Group, offers a selection of burgers, a salad, fries, desserts and cocktails. The food is just okay, definitely not up to par with typical Garces fare. It’s certainly not the highlight of the experience, but will hit the spot, paired with one of the many Yards varieties available on draft next door at the beer station. Side note: adding to the charm of the maritime history of the park, all of the concession stands are converted shipping containers. Kudos to the Delaware River Waterfront Corporation for a job well done! 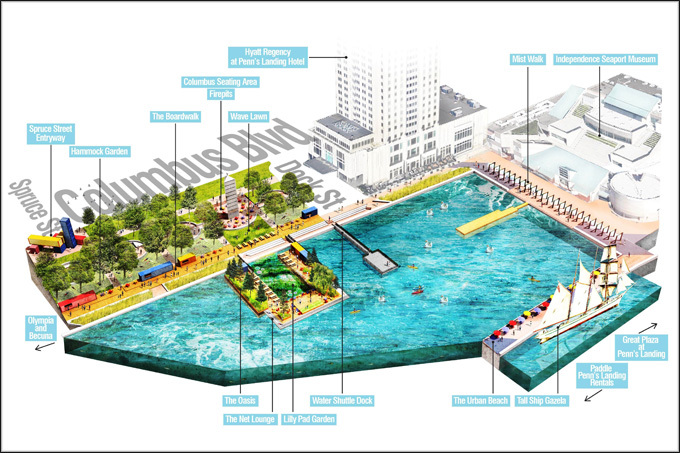 While we still have a lot to aspire to – to reach the grandeur of pop-up parks and events that our big brother 90 miles to the north puts on, it’s a step in the right direction for the Delaware River Waterfront and Philadelphians everywhere!